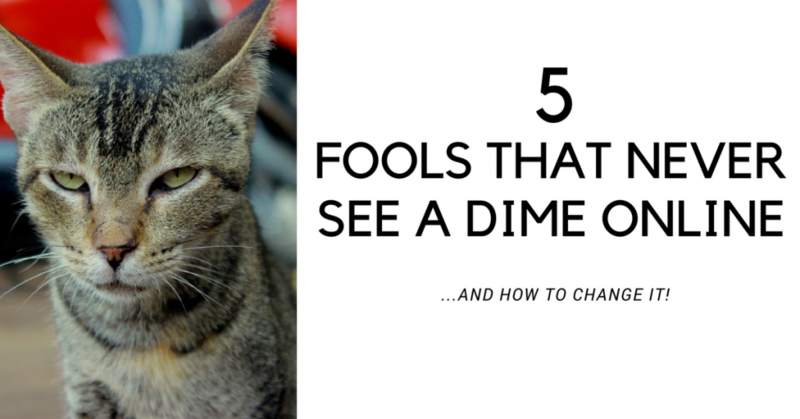 » 5 Fools That Will Never See A Dime Online…And How to Change It! 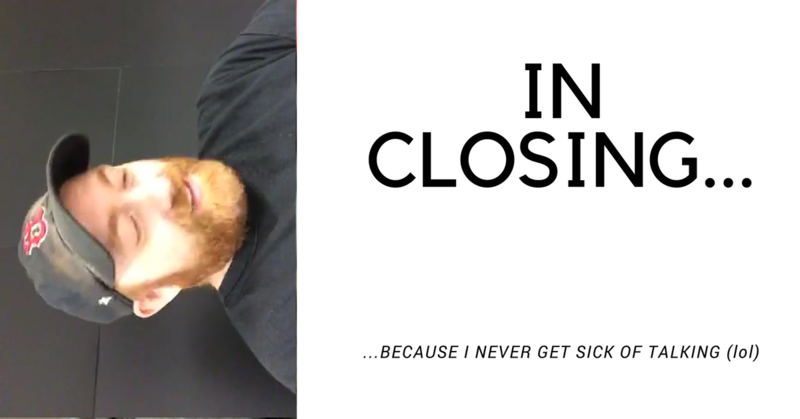 I work hard to make my products entertaining as well as actionable. 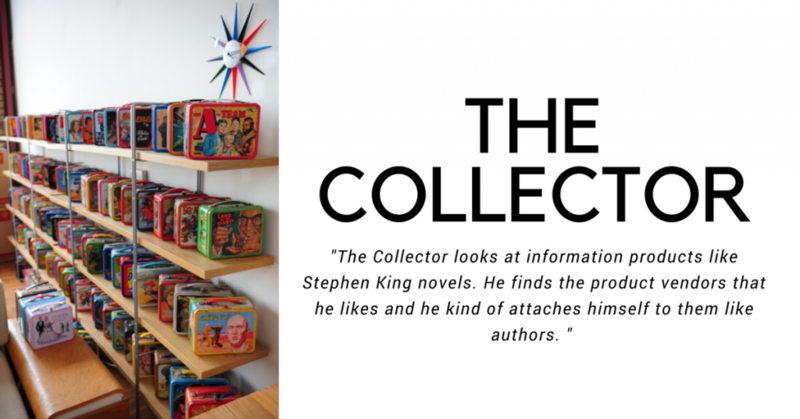 I don’t mind the collector. …or he can go all in on something. Throw the collection away and become the boss. I once had a collection of Hot Wheels and I lugged those damn things around from state to state, everywhere I went. For years I stored those damn hot wheels in totes. Hundreds of them damn things. …he told me he didn’t like hot wheels. It was a hard day donating them to the Good Will but I did it all the same. The collector has a decision to make. 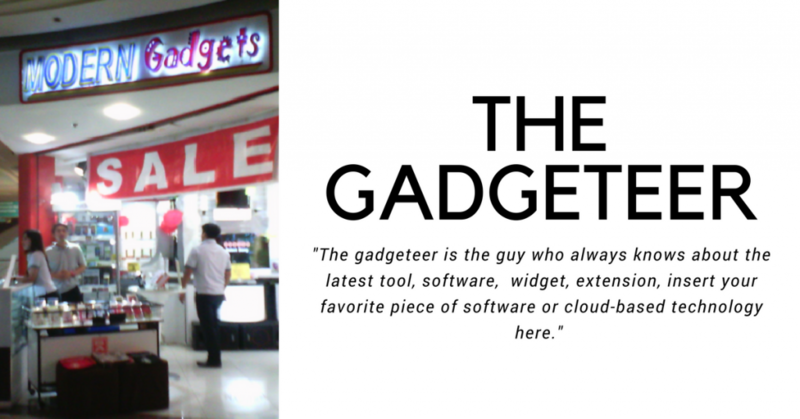 The gadgeteer is the guy who always knows about the latest tool, software, widget, extension, insert your favorite piece of software or cloud-based technology here. The gadgeteer feels productive, feels intelligent, because he’s hip to the latest greatest in IM. The gadgeteer is confused and does not understand why he is not making money yet, even though he knows about everything. He gets the science but not the art. That’s the problem with this business. The science only gets you so far…and then you need the art. The gadgeteer has not yet seen the world through his customer’s eyes. He’s still seeing them like something he needs to acquire. He’s still trying to serve himself. I don’t hate the gadgeteer. Perhaps if not for my unreasonable hate for computers and AI, I might have been a gadgeteer. …you’re thinking…how can someone who earns their living on a computer, hate computers??? It’s a paradox. I get it. However it’s true just the same. Here is what I know. I never made a dime online until I stopped worrying about my bank account and started worrying about my “would be” customers. The gadgeteer still needs to learn that lesson. 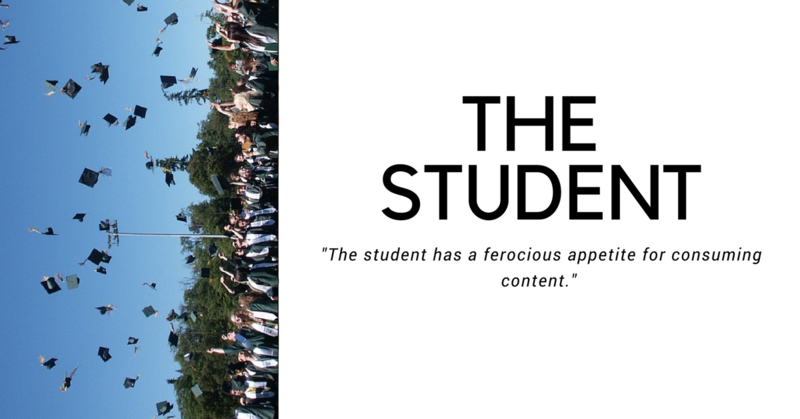 The student has a ferocious appetite for consuming content. And the student buys them. Every single report, webinar, video workshop, podcast he can find. The student consumes information like a drug. The student knows a lot. The student is smart. The student gets to a place where he’s seeing information that he’s already seen before. He’s finding it harder and harder to find golden nuggets that might help him. The student’s problem is not that he doesn’t know what to do. The student’s problem is that knowing the path and walking the path are two very different things. The student does not execute. The student is not taking action on that which he learns. The students inability to take action is holding him back. The student might or might not realize this based on the fact that he knows quite a bit and many times people confuse knowing something with being experienced. For the student to move forward he will have to humble himself, wipe away everything that he has learned and move forward with a dedicated path. That means trusting in one thing and acknowledging that he is but a student and all students need to graduate. Pick a life and get to work my friend. The non-committer buys the offer because he wants to see what’s in the box. He wants to know what all the hype is about. He might start a conversation about it on facebook with his non-committer friends. 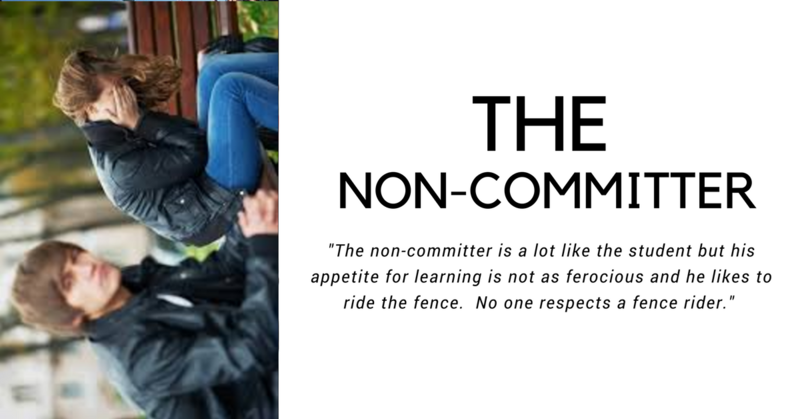 And then he might proceed to start reading or watching the training, but the non-committer is not committed. The non-committer has one foot in and one foot out. The non-committer will take longer to finish things than needed. The non-committer asks a lot of questions. A special report might send you to do something and the non-committer will read it and instead of taking action will visit his favorite Facebook group and ask other people questions about taking said action. He will then wait for responses and engage in conversations about said action. The next day the non-committer might be on to the next thing and the cycle repeats. He loves the ritual and he wants to know. But the non-committer’s biggest weakness is his comfort. The non-committer is comfortable. He generally has a job that he is not altogether unhappy with, or else he has gotten so used to it he knows nothing else. He’s a tourist in the IM space. The problem with being a tourist here is that you don’t win as a tourist. This is a place where unlikely warriors slay dragons and wizards pull bags of gold from thin air. 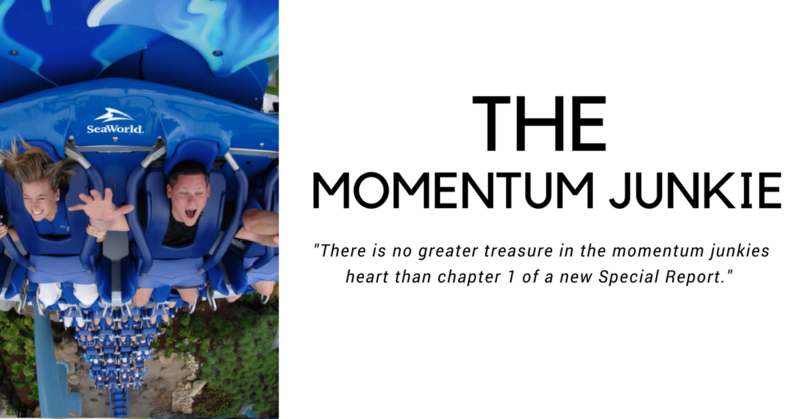 The momentum junkie is all about the feeling of starting something new. 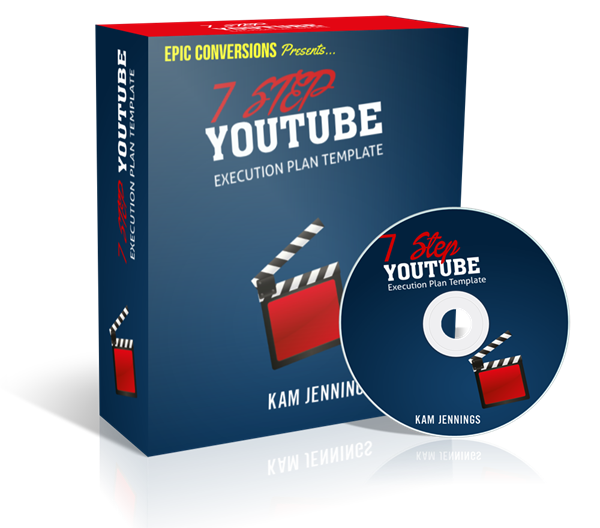 The momentum junkie loves to open his email and see a brand new offer with an opportunity to make money online and hungrily dives at the sales page. He eagerly smashes the buy button and jumps into a brand new strategy. There is no greater treasure in the momentum junkies heart than chapter 1 of a new Special Report. Often times the momentum junkie won’t even make it through the entire report. Instead, he only lasts as long on a strategy as the novelty of seeing something new. The novelty of something new wears off pretty quick in the IM game. New launches happen every day here. There’s always another chapter 1. The momentum junkie very rarely ever sees any profit. The momentum junkie is in love with chapter 1. Often the momentum junkie understands why they are not making money online. He knows he is failing to execute. Failing to execute is depressing and it takes it’s toll on moral. The solution? Clean the sleight and start over with something new. For the momentum junkie to succeed he needs to learn how to sustain through rough times with a strategy by adjusting. Adjusting is always the key. When a new product is released there is buzz and hype. When you buy a new product, there is the novelty of it. Novelty and buzz are not the same as true momentum. The Momentum Junkie must learn to adjust and create his own momentum. The momentum junkie must trust in his path and stay the course even when things seem greener on the other side of the fence. It is human nature to not be satisfied. Where would we be if every entrepreneur in history gave up on his strategy so easily when he had lost momentum? Stay the course and adjust. It is what you make it. These are my top 5 personalities who generally don’t make a lot of money online and I hope I gave a little insight in this article on how to break the cycle. …I know this game. It’s a ruthless game. None of these personalities win unless they break the cycle. My name’s Kam, some people call me ZeroFatz and that’s all I got!